How does an estate agent stand out in a crowded marketplace and cement their position in having understanding of their local area? 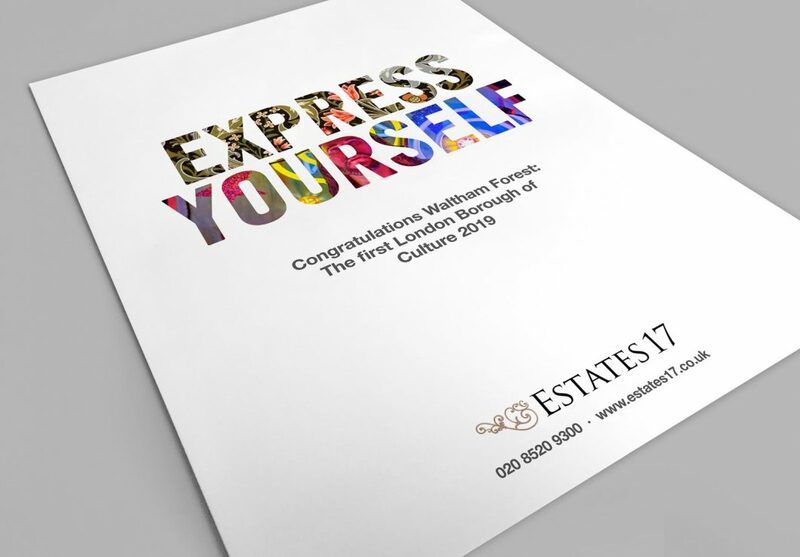 Estates 17 is an estate agent who are integral to their local community of Walthamstow in the London Borough of Waltham Forest and have supported scores of local causes and events. 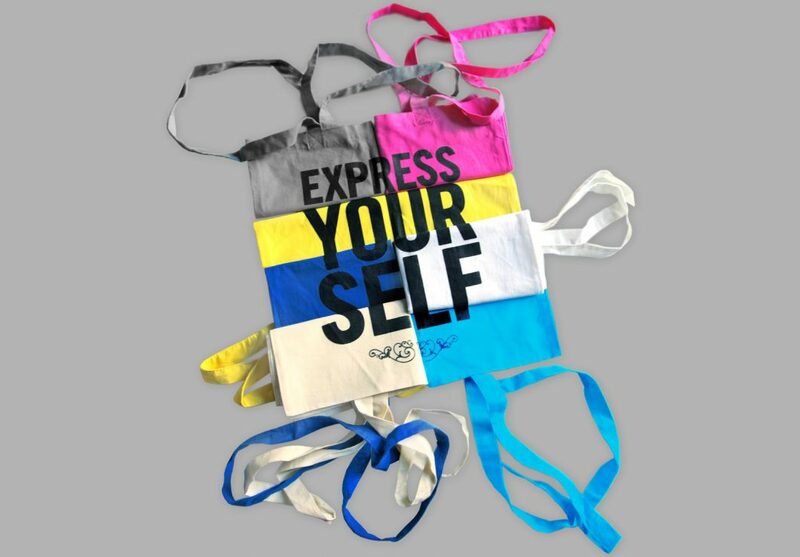 They created the unique ‘WVWG’ to support local artists with a dedicated gallery as well as the E-List magazine, which continues to blaze a trail for all things artistic in the borough. 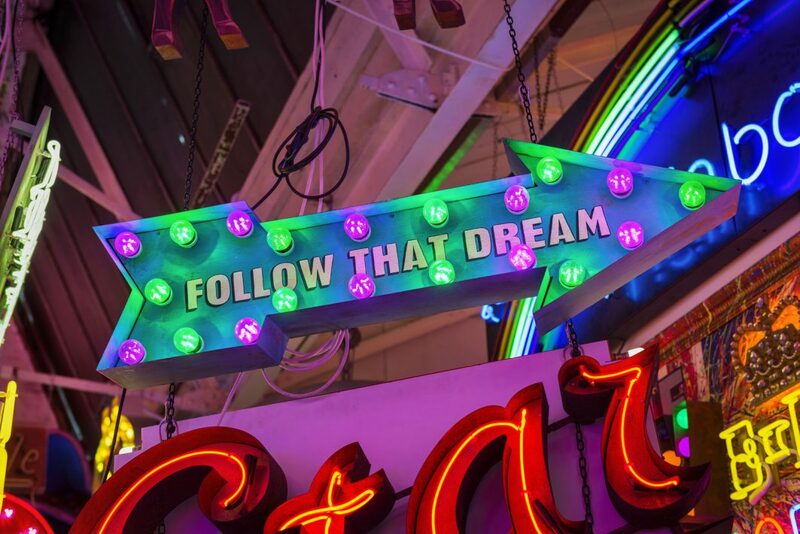 2019 sees Waltham Forest becoming the very first London Borough of Culture and to celebrate we have created an Estates 17 awareness campaign which draws on signifiers and well know icons of the area: Gods Own Junkyard (the cornucopia of neon, salvaged signs, old movie props and fairground lighting), William Morris (the William Morris Gallery is the only public gallery devoted to Morris and is housed in a Georgian house in Lloyd Park in Walthamstow) and the green spaces of Epping Forest. 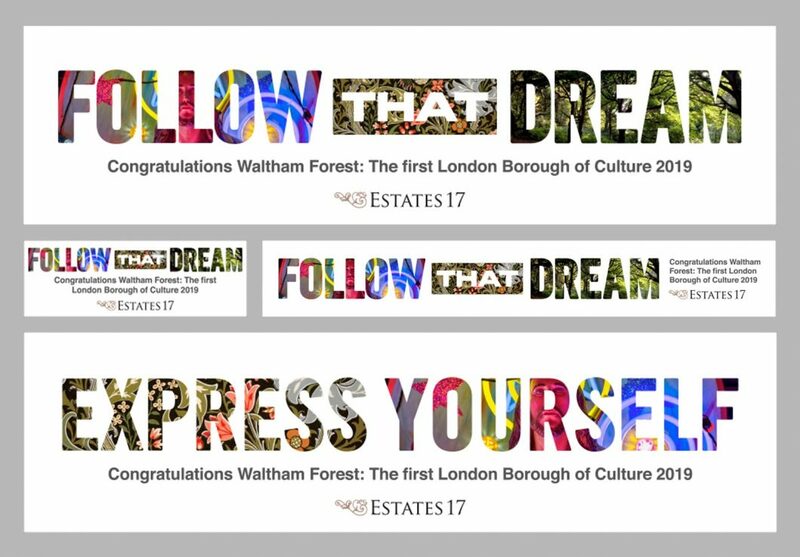 Large typographic illustrations of the phrases “Follow That Dream” (which also refers to the well know sign which sits in Gods Own Junkyard) and “Express Yourself” subtly incorporate these visual signifiers and communicate Estates 17’s creative approach to estate agency. 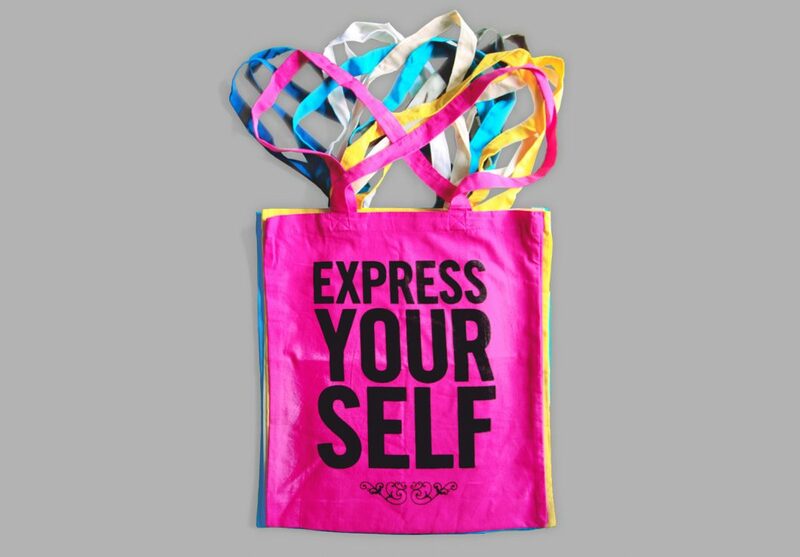 We designed a digital advertising campaign which will be rolled out across property websites such as Right Move and print adverts for magazines such as EList. 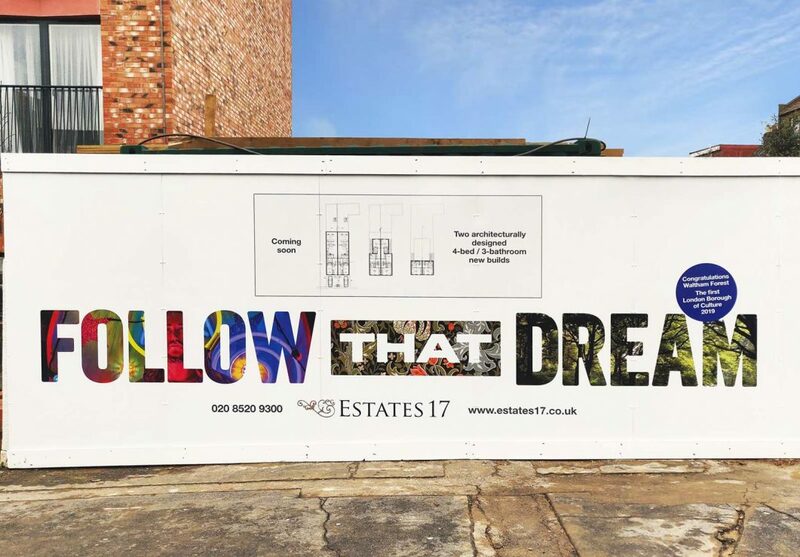 The Estates 17 awareness campaign also extended to the design of a hoarding outside a current new homes development and an array of bold coloured, typography-driven tote bags.